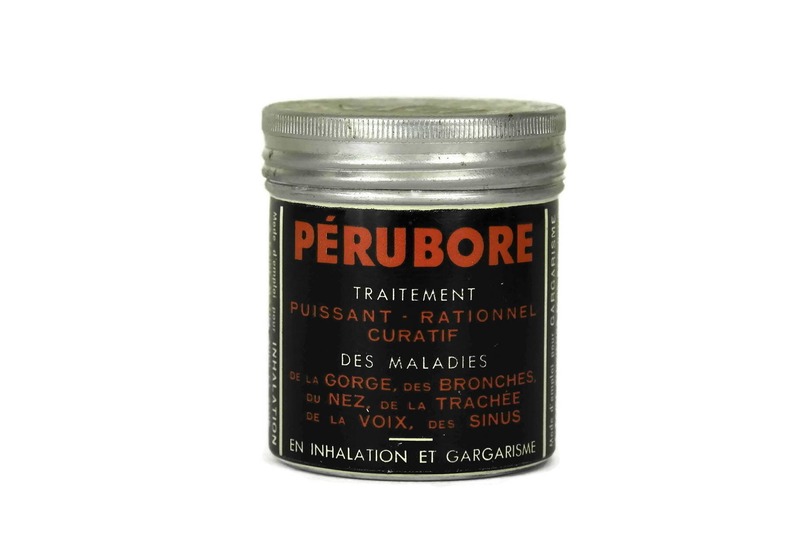 French Vintage Medicine Pill Box. 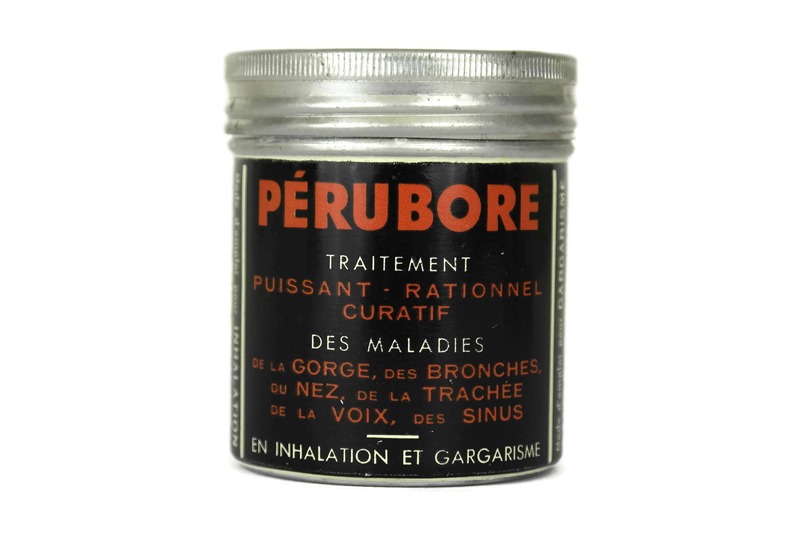 Perubore Lithograph Medical Tin Box. 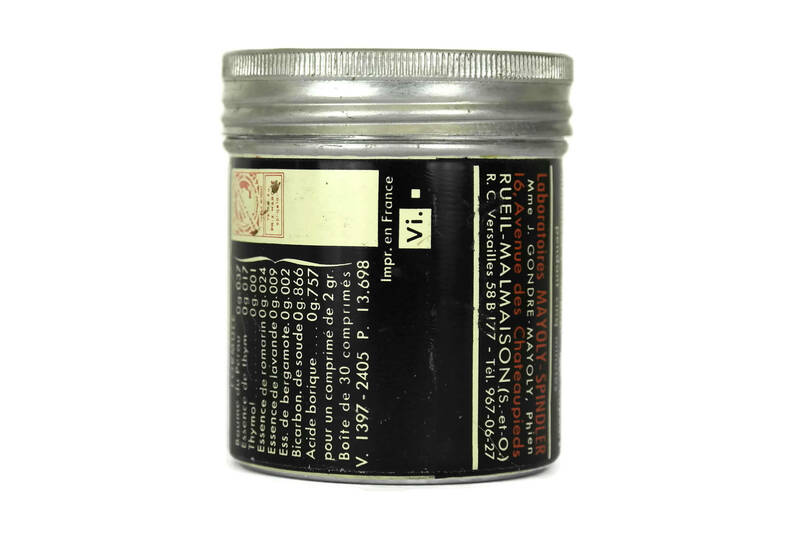 Cylindrique Metal Drug Box. French Pharmacy. Curiosity Cabinet. 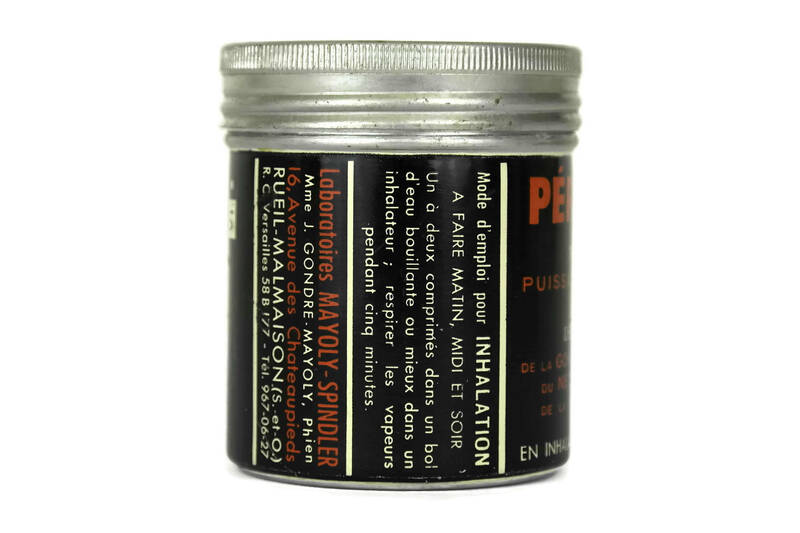 A French vintage medicine pill box manufactured in France by the French Laboratories Mayoly-Spindler in Rueil-Malmaison in the 1950's. 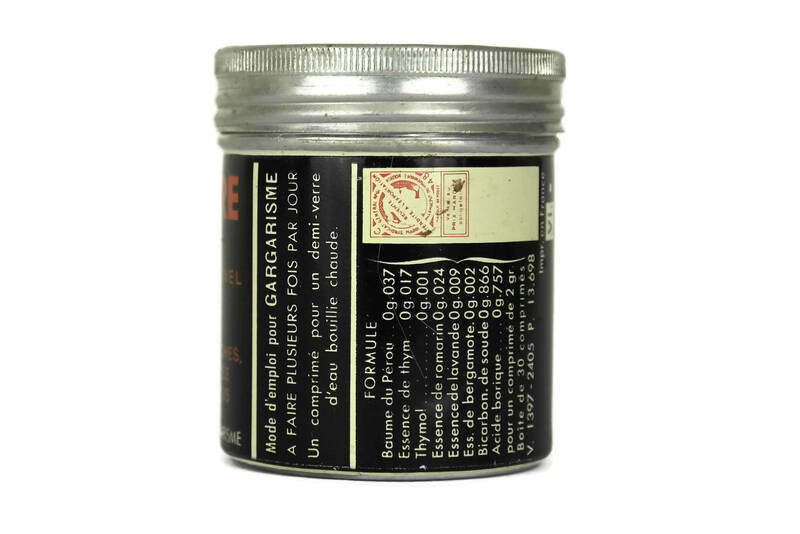 The French lithographed tin box has a cylindrique form and an aluminum lid. 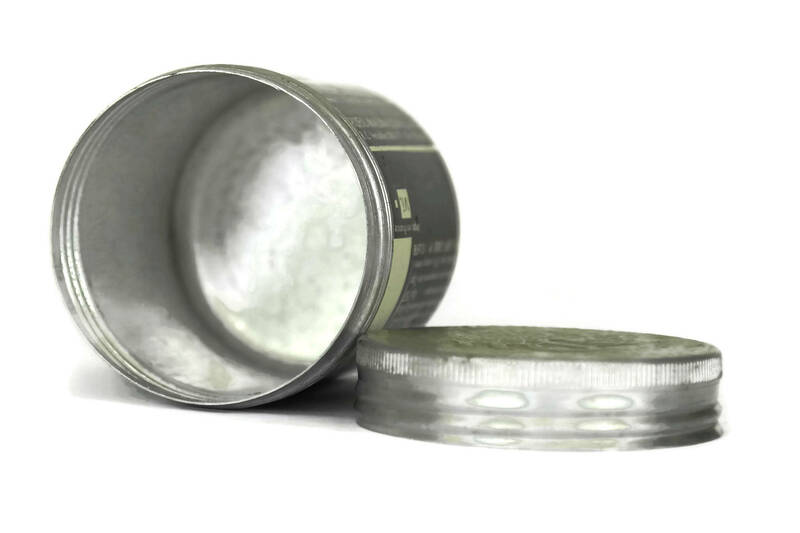 The lid has been embossed with the laboratories logo. 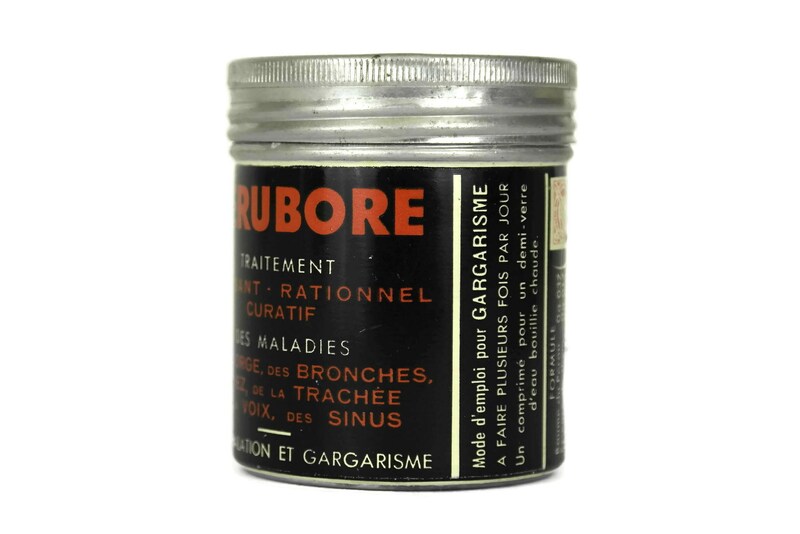 The metal drug box contained pills of Pérubore prescribed for diseases of the throat, bronchi, nose, trachea, voice and sinuses and were used by dissolving in hot water for inhalation and gargling. 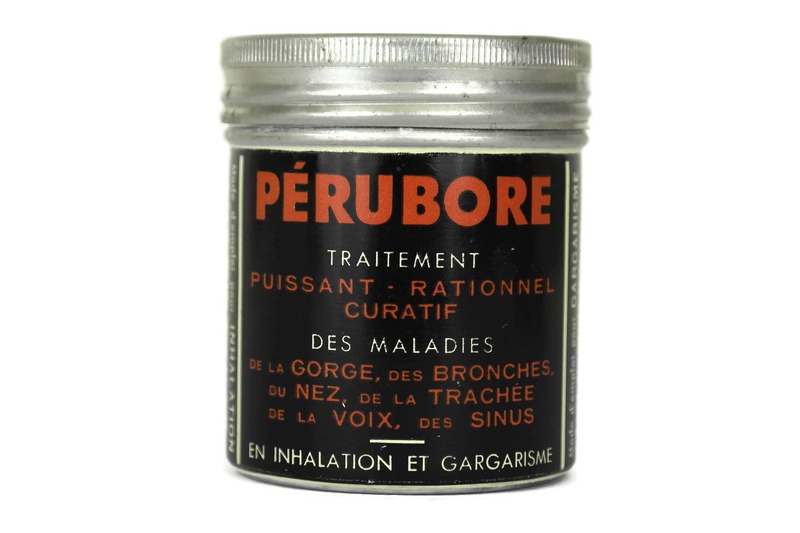 It will make a great addition to your French pharmacy collection or your curiosity cabinet. Please note that the box is sold empty. 2" in diameter and 2 1/4" Tall (5 cm x 5,5 cm). 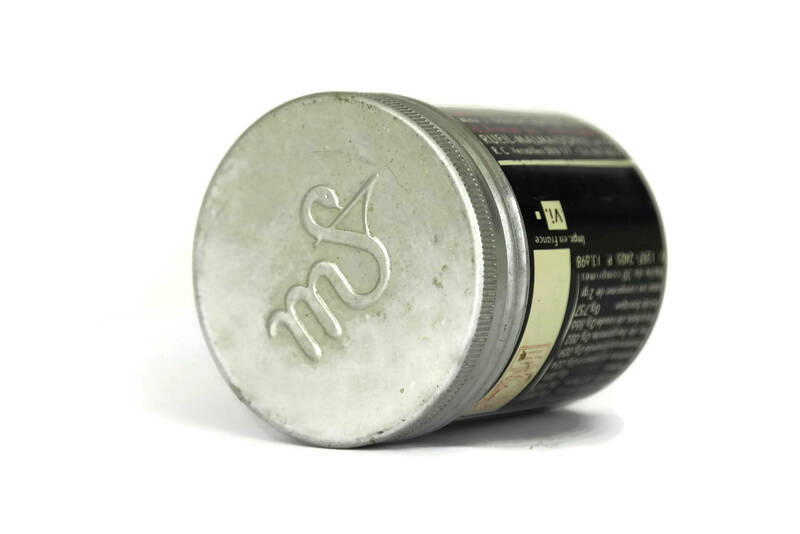 The medical tin box is in very good vintage condition with age appropriate wear including scratches to the lithographed metal surface.